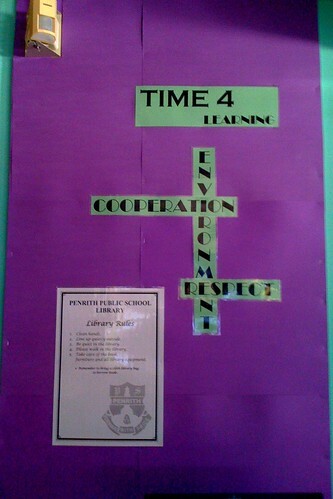 This entry was posted in core values, library environment, news and tagged renovations, signage, Typo. Bookmark the permalink. 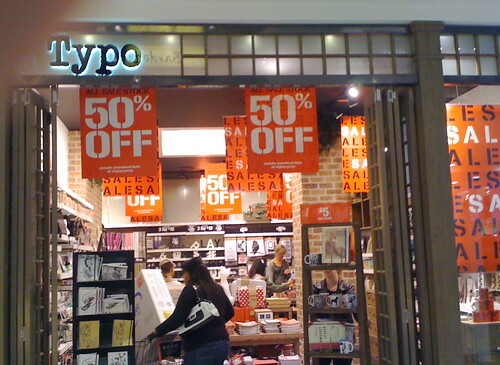 I have now stored away Typo as a shop to visit. 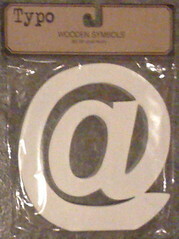 I notice they have a site http://typoshop.com.au/index.html so the move to the west must be part of a global strategy. According to the receipt, Typo, Cotton-On Kids, Rubi Shoes, Cotton Body and Cotton-On Megastores are all part of the same company. And yes, the Parramatta store is listed on the Typo web page. Looks great- I’ll have to find a similar shop on the mid-north coast. Your kids must find the Library a very interesting place! I expect you can’t wait to get started in your new building.I’m about to start reorganising my library, in preparation for installation of the Connected Classroom, exciting times. Ian I am so impressed with your library renovations. I have reccently become a teacher librarian in a high school library built and decorated in the 70’s. It can be an awefully depressing space to work in with all it’s brown and orange and red decor. I have been doing little things to make it a more pleasant space and thanks to your inspiring ideas I can do a little more. I look forward to seeing what you do to the BER Library. Just totally reorganised my Library, so now I need to work on some new signs- will use yours for inspiration!